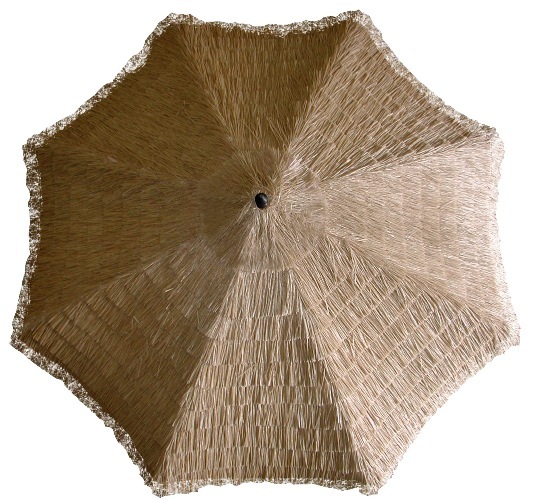 Thatch market umbrellas are great for those who want that vacation sensation at home. 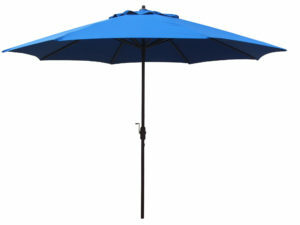 Great for BBQ’s, patio and pool areas as well as large gatherings and social settings. 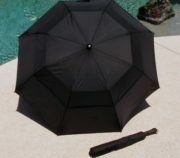 Fantastic for either residential or commercial settings, especially with the wide selection of market umbrella frames. Thatch canopy is available for the 9 foot and 11 foot market umbrella frames listed to the left: under the Thatch canopy image; beneath “Thatch Umbrella Frame Options”. SKU: 3942. 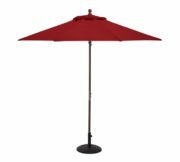 Categories: 11' Foot Patio Umbrellas, 9-10' Patio Umbrellas, Commercial Grade Patio Umbrellas, Fade Resistant, Galtech Umbrellas, Patio/Market Umbrellas, Sunbrella®patio umbrellas. 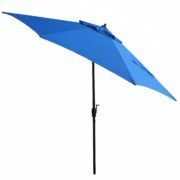 The base umbrella frame options are: 9′ Aluminum, 9′ Wooden, 11′ Aluminum and 11′ Wooden – with slight, but significant, variants of each frame type. See exact frames with details to the left beneath “Thatch Umbrella Frame Options”. 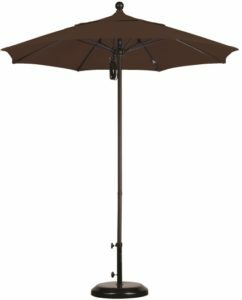 When you have your frame picked out, click the “Order Now” button below and simply select which Galtech umbrella frame code you desire. Frame code is found beneath “Thatch Umbrella Frame Options” to the left in bold. You may click on the text beside the frame code to view each frames product page. The total price is found beside each frame code.